Four big companies and a NGO are planning to test the most prestigious fall prevention model over the next 4 years in the Netherlands. Unfortunately an official statement can’t be presented, nor can the companies be disclosed (except ONVZ Health Insurer) but in the first quater of 2017 the first participants are allowed to enroll and test the model. The partners share a common goal in Vitalising elderly people. We will use each others expertise to test a model that existed on the drawingboard and seemed to complicated to implent. I will publish more information on the model, technologies used, and results later. 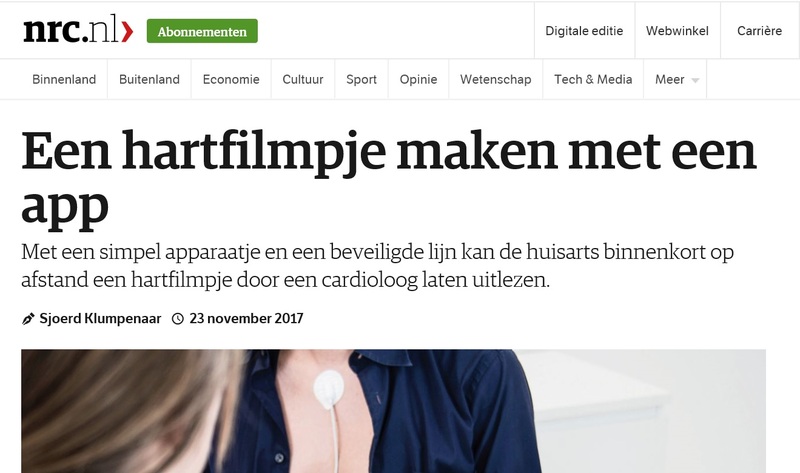 Together with the VU (Vrije Universiteit) we developed the first prototype of a Health Alarm. This application will help us to understand the possibilities of mobile sensing using smart phones. The sensors from large numbers of users can in theory be combined to gather valuable data and information about people, environments, and cities, but doing this efficiently and in a privacy-preserving way is a major challenge. Currently we can test and exploit more and more novel sensors to give real-time feedback and advice to users.